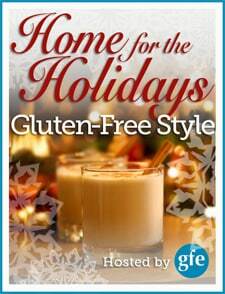 Second Week of Home for the Holidays ... Gluten-Free Style--Over 25 Winners! Hello everyone! I know you’ve been enjoying our holiday event because I’ve been reading comments, tweets, Facebook statuses, and getting emails saying so. Every individual or company participating in this event in some way is thrilled to hear that! Here we are at the most exciting part of each week … where we announce the winners of the daily giveaways. Hopefully, you’ve been following along. (Here’s the complete line-up.) I really recommend you do follow along to check out each blogger’s phenomenal recipe and enter daily because every entry goes towards the fantastic final prizes—Caveman Cookies gift package of $89 value, $150 shopping spree at largest gluten-free store Free From Gluten, and the 5200 Healthy Lifestyle package from Vitamix (comes with the grain container and is valued at $550). But wait there’s more … I also recommend that you follow along because some additional prizes continue to be thrown into the mix and all entries will be eligible for those, too. What does that mean? It means that if you are just joining our event or got started even a little bit late you might want to check out the posts you missed. While the “daily” giveaways for most of the previous posts are closed, you can still leave a comment on those posts and that comment will give you yet another entry for the final prizes and the “surprise” prizes. Without further ado, here are all the winners for Week 2! Congratulations to all! AJ left the winning comment over at Lexie’s Kitchen on Lexie’s Chocolate Pomegranate Clusters post. Suzanne H. left the winning comment at Diet, Dessert and Dogs on Ricki’s Chocolate Mint Truffles post. 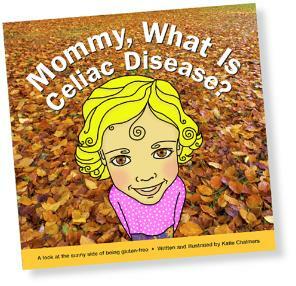 ~ The winner of Mommy, What Is Celiac Disease? and one cupcake holder (similar to these). All winners will be contacted via email shortly. However, if you see your name and comment here, feel free to email me at [email protected]. Next week about this time, I’ll be sharing the winners for Days 13 through 19, so please stick around for more Home for the Holidays … Gluten-Free Style recipes and giveaways. All of us love celebrating the holidays with you! Full disclosure: All giveaways except for the Tropical Traditions coconut oil, Honeyville Almond Flour, and Mommy, What Is Celiac Disease plus cupcake holder, are sponsored by the applicable author/publisher/company, etc. The last three giveaways are sponsored by gfe. Oh, I didn’t to sound so ungrateful!!! I know that you have a life. I just couldn’t remember if I gave it already or not. Please take as long as you need. I know this time of year is crazy as it is. Your generosity is enough! Thank you so much for putting this whole thing together. It’s wonderful!!!!! Hi again AnnMarie–No worries, dear! I didn’t think you were being ungrateful … I was just explaining to all reading what the deal was. 😉 Hoping to have all emails out by the end of the day, but folks are welcome to email me with name and mailing addresses. 🙂 That would be helpful! I know you and I have already connected with that info though, so we’re good! Thanks very much for the sweet words … they make me and all the others working on our event so happy! Enjoy the season! Thank you so much! I’m very excited! I’m almost out of almond flour too, so this is perfect timing! Thanks again! And thank you for organizing this Shirley – all the giveaway and recipe posts are great! Thanks for taking the time to say thanks, both for your prize and for our entire event! Happy holidays! I am so excited to have won! Shall I email you my mailing address? It has been great to watch this event unfold and I have found so many new bloggers to enjoy. Thank you for what you do Shirley! thank you thank you! i’m so excited to be receiving this cookbook. I haven’t had a new cookbook in awhile and have been wanting one, so this is perfect timing! i love to cook and i can’t wait to try these recipes. Thanks again Shirley! I’m so excited to receive the Almond Flour cookbook. This “Home for the Holidays” giveaway has been a wonderful gift for me. 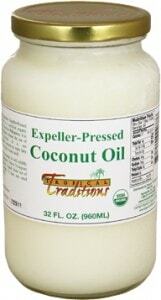 I’m learning about so many fabulous blogs and finding magical new GF and other allergy-free recipes. Shirley, You are Wonderful and an Inspiration!! Wow! Thank you SO much!!! I’ve been wanting Paleo Comfort Foods for a while! Yay GFE!!! Thank you SO much for the prize! I haven’t read Dangerous Grains yet and it sounds like a very interesting book! This is a wonderful event — I hope you all have a safe and happy holidays! Thanks for the Wheat Belly book.. can’t wait to get it! And thanks for a great contest! I am so excited about my new Modern Spice cookbook and iSpice app! This is such a great event; thank you to everyone that is contributing! 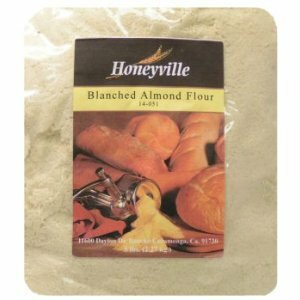 I’m very interested in recipes that use almond flour. What a fabulous contest! Congratulations to all the winners! Lots of our participating bloggers use almond flour, so if you don’t see many of those recipes in our event, be sure to check out the different blogs. Thanks for the kind words! Thanks so much, Shirley! I’m glad that I’m not really SO FAR behind! 🙂 I’m looking forward to participating in the event!!! Hi Katie–I’m ecstatic for you! It really is an awesome book! 🙂 I love your heartfelt enthusiasm for our event and appreciate your kind words so very much, dear. I know all the others participating do, too! Hugs and happy holidays to you! Im a newbe.All the recipes look good, I feel like a kid in a candy store. So many to try so little time. Awesome, I can’t wait to receive “The Pure Kitchen” and read what all it has to offer my Mom! She discovered her gluten and dairy intolerances 6 months ago, so we’re still adjusting. I’m so happy to have run across gfe’s facebook page because Shirley makes gluten-free easy! Thank you Shirley for hosting this spectacular event, all the bloggers for sharing their recipes, and all who have provided the giveaways! Hey Sarah M–I need to hire you! 😉 Don’t get too excited though … it’s just me on the gfe staff. LOL Thanks for the fabulous words, dear. I know we all appreciate them. Hope your mom will be thrilled with another gf/df resource! 🙂 How wonderful that she has a daughter like you on the web entering giveaways for her! Imagine my thrill and delight to get home from a Christmas party and read an email saying that I had WON the Dairy Free, Gluten Free Kitchen Cookbook!! I may just camp out on my porch awaiting its arrival, I am THAT excited. Since becoming a GF Vegan in September these type of cookbooks are worth their weight in GOLD! Thank you! Best Christmas gift EVER! I am SO very grateful. Thank you! This makes my new healthier lifestyle possible. And the gift of good health and a pain free life is without measure. Shirley, you are SANTA! Wow, Lori, sure sounds like you had a fantastic evening! Congrats again! Camping out might be chilly and too time consuming this time of year with the weather and holidays and all, but I do love your enthusiasm. 😉 Hopefully, you’ll have your prize in your hands soon. 🙂 I absolutely love the last part of your comment … “the gift of good health and a pain free life is without measure.” Thank you so very much for sharing that! Thank you again, Shirley! I am so grateful to receive the cookbook and flour. I sent my address to you via e-mail this morning. Happy Holidays! WOOOHOOOO!!!! You can not imagine how excited I was to open my email and see I won a subscription to EASY EATS!! Thank you Shirley for all the fun you and the other participants have provided for me this Christmas season!!! I didn’t receive my copy of “Sweet Freedom” I emailed you earlier but perhaps it went to your spam. Will you please let me know what I need to do next?